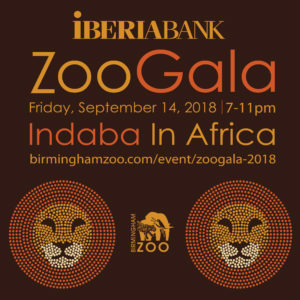 You are cordially invited to the Indaba in Africa at IBERIABANK ZooGala 2018. Listen to your favorite dance-party hits by The Main Attraction and enjoy culinary offerings by Kathy G & Co. as you party at the Zoo. Feast on a delicious dinner and cocktails in the magnificently decorated Children’s Zoo.